Do you really know where your website visitors are coming from? What’s their average age and income? What about the search terms they use to find your content online? PLEASE NOTE: this article was supplied by SEFP advertiser and host Razz Hosting. The only way to answer these questions is to analyse website traffic. Luckily, modern technology makes everything a lot easier. Nowadays, there are hundreds of online tools that can provide accurate insights into your audience. Google Analytics, Kissmetrics, Clicky, and CrazyEgg are just a few examples. The best part is that you don’t have to be tech-savvy to use these apps. But why is it so important to track website traffic and what’s the best way to do it? Let’s find out! Having a professionally designed website doesn’t guarantee success. In this digital era, anyone can set up a site or blog within minutes. Let’s say you take the next step and start to promote your pages on social media, business directories, and industry-related blogs. That’s great. However, your work doesn’t end here. Knowing where your traffic is coming from and having a good understanding of your audience is crucial. This will allow you to create better content, reach more customers, and get the most out of your advertising budget. Let’s say you’re planning to invest in Facebook ads. How are you going to reach your audience if you know nothing about their preferences, demographics, educational background, and other key aspects? Web analytics can reveal this information, making it easier to reach your best customers. Perhaps you have fantastic content on your business site, but you’re getting no sales or phone calls from clients. You can use website analytics tools to determine whether or not you’re targeting the right audience, what pages people are looking at the most, and how long they’re staying on your blog. Ready to give it a try? Use these strategies to analyse website traffic and power up your marketing efforts! Your traffic sources, for example, may include Google and other search engines, email newsletters, pay-per-click ads, referrals, and/or social media. The bounce rate indicates how much time visitors are spending on your website. Ideally, you should aim for longer sessions and lower bounce rates. 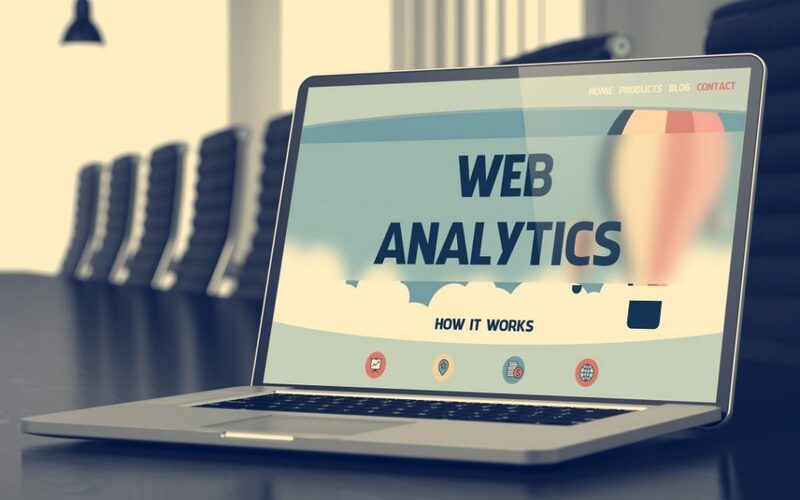 Web analytics can also reveal what pages rank highest in search results, where your visitors are coming from, how many pages they visit per session, and more. Next, decide what tools you’re going to use to analyse website traffic. Depending on your budget and marketing tools, you can use free or premium web analytics tools. Google Analytics is completely free and covers the most important KPIs. With this tool, you can see what city and country your visitors are from, how much time they spend on your site, which pages are the most popular, and the keywords people used to find your website. Other web analytics tools, such as CrazyEgg, provide valuable insights and visual reports to help you understand how people are engaging with your site. You can see which pages get the most clicks and even watch visitors moving through your website in real time. Later, you can use this data to improve your web design and pages, create relevant content, and set up marketing campaigns that yield results. As you see, web analytics can provide actionable insights into your audience and website performance. You’ll know exactly what works and what doesn’t work, why customers are leaving your pages, and how they got there in the first place. No matter your budget, you can analyse website traffic and gain a better understanding of your audience. Start with Google Analytics and switch to a paid tool later on if necessary. If you don’t have a website yet, register a domain name today. It takes just a few minutes! Next, choose a hosting plan that meets your needs and business goals.